We mentioned why systems oppress people, but now let’s get into how. Institutions alone generally don’t cause the most damage. It’s the way they overlap and work together to reinforce social issues like sexism, racism, and poverty. That really damages our society. 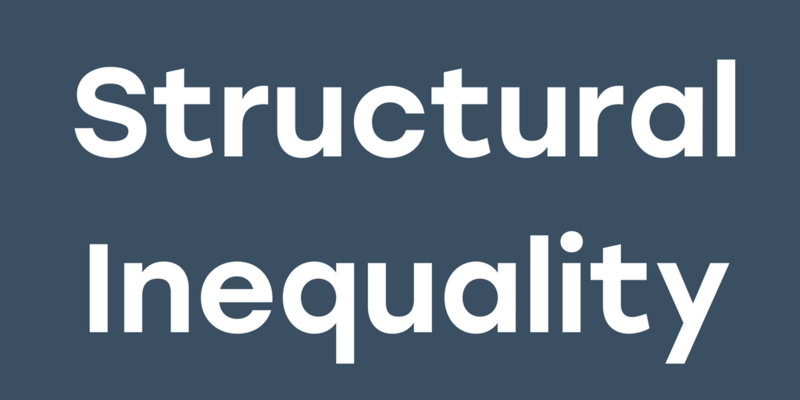 Let’s focus on two different categories: political inequality and economic inequality. First: how do we even measure them? Okay, now let’s look through another lens: economic inequality. Poverty is an issue all over the world, and the gap between the have and have-nots continues to widen. According to most recent statistics, the eight richest men in the world have more wealth than half of the world’s population—meaning that eight men have more cash than 3.7 billion people combined. Curious about these eight richest men? And yes, that’s right: all men and no women. Want to see their faces? According to the United Nations, at least 50 percent of people living in poor households are women and girls. Take the United States for an example: More than 100 million Americans live at or below the poverty line, and nearly 70 percent of these Americans are women and children. Okay, you get the gist of why inequality can be complicated. Ready for how it affects education?